Just the sound of “Super Blood Wolf Moon” sounds impressive. It’s what everyone is calling the only total lunar eclipse of 2019, happening on the night of Jan. 20, and there’s a reason it has such a cool name: This singular event is actually three separate events, all happening simultaneously. What Makes It So Super? The “super” refers to the fact that this month’s full moon is a supermoon. 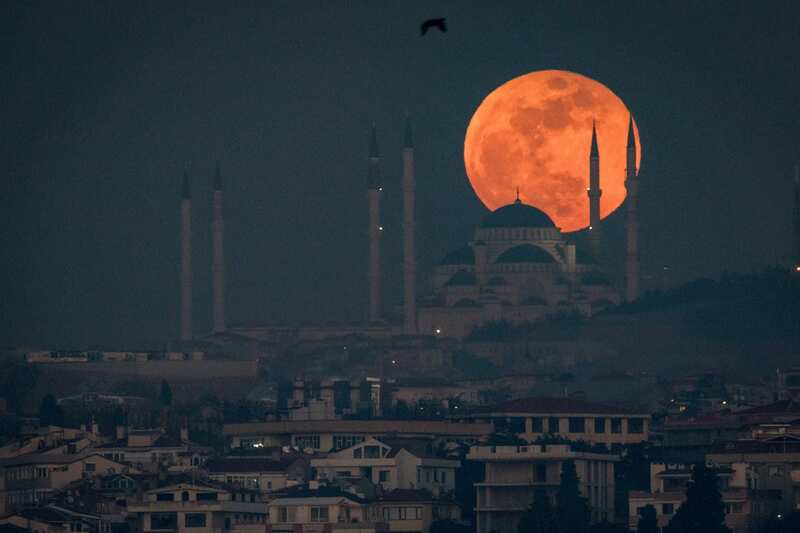 A supermoon is a full moon when it’s within 90 percent of its closest approach to Earth during its monthly orbit, or perigee, making it appear about 7 percent bigger than the moon when it’s at its average distance. This month’s full moon will be 222,081 miles from Earth, and it’s the first of a series of three back-to-back supermoons occurring in January, February and March. Despite the terrifying description, a blood moon is just another name for total lunar eclipse. A total lunar eclipse occurs when a full moon passes into the Earth’s shadow. During this time, the moon turns a dark red color and, unlike a solar eclipse, you can look right at it without any eye protection. If you’re fortunate enough to have clear skies to watch this event on the night of Jan. 20, take advantage of it. The next total lunar eclipse won’t happen until May 26, 2021. The “wolf” part of this month’s moon description originates from Native American tribes and early colonists, who had names for the full moons in every month of the year. January’s full moon is named after wolves howling over the scarcity of food during wintertime. It’s just a coincidence that this month is getting a supermoon and a lunar eclipse at the same time. So, when is it happening? For every time zone in the United States, the event begins on the evening of Sunday, Jan. 20. The entire event, from start to finish, will last nearly three and a half hours. Jason Meyers is a part-time meteorologist and big-time fan of looking up. You can follow him on Twitter or watch one of his entertaining and educational YouTube videos.